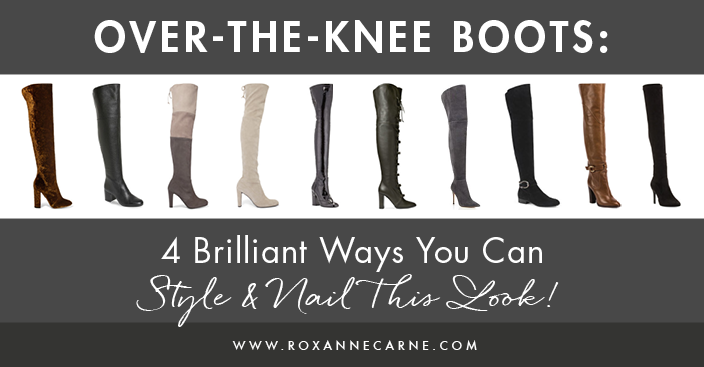 Over-the-Knee Boots: 4 Brilliant Ways You Can Style & Nail This Look! 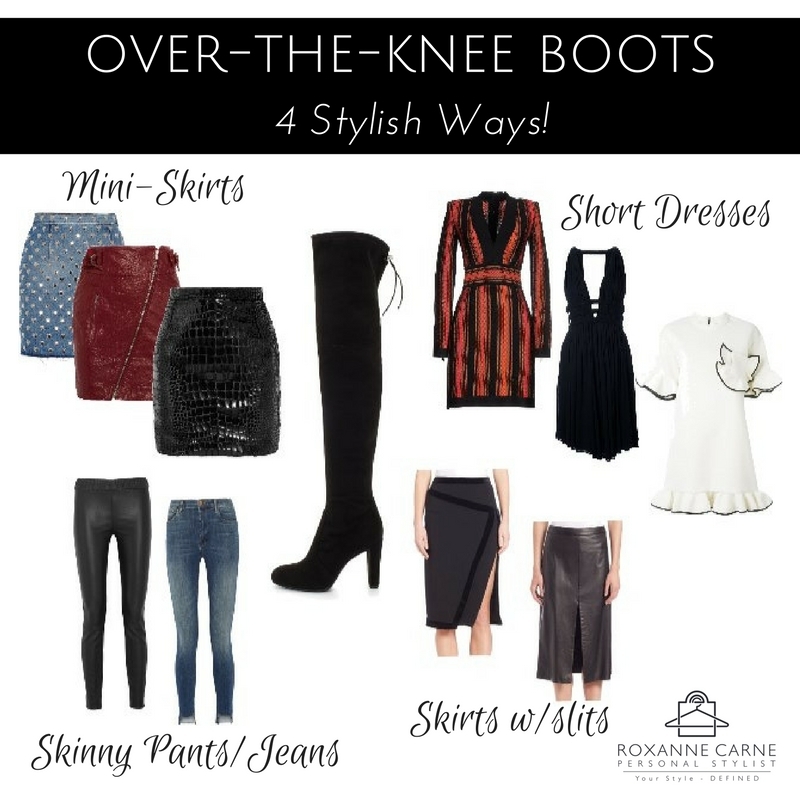 If you haven't noticed, over-the-knee boots (aka over knee boots) are ALL the rage for women’s fashion this fall season! These boots look great on virtually every woman and that’s why they’re such a hit right now. Shoe designers are having lots of fun with over-the-knee boots this season. I’m seeing boots that are trimmed with lace, adorned with fringe, have patchwork designs, everything! The great thing about over-the-knee boots is that they come in various styles we can choose from. I especially love these shoes because they’re a sure-fire way to elongate your leg regardless of your height (especially if it’s a heeled boot). When you’re wearing these shoes, they are most likely going to be the center of your look. Today, I’m sharing four easy ways for you to style these hot shoes into looks that work for YOU. As such, I’ve included little bit of flavor for everyone’s taste here. Let’s dive in! Love the Look? Own It By Clicking Here! Mini-skirts – For my ladies that like to show some leg, this is a sleek option for you. Pairing an over-the-knee boot with a mini skirt gives the illusion of a long leg (Pretty Woman, anyone?). You can have some fun here by pairing different textures like a suede boot with a patent leather skirt or a croc-effect faux leather skirt as I’ve shown below. Taking it one step further, think about throwing in a knee-length duster cardigan into the mix for a modern, chic look. You also have the option of adding another element of texture with colored/patterned knit tights or micro fishnet stockings. Can we say hotness?? Leggings & Skinny Jeans – This is probably the easiest and most convenient way to style over-the-knee boots and definitely one of my faves. It’s always stylish and quite comfortable as well. You can enhance the look by experimenting with a leather ‘liquid’ legging which adds a touch of edge. Likewise, skinny jeans (which is a staple in most of our closets) fit comfortably inside the boot and offers the most versatility for when working with different tops and outerwear. Midi Skirts with Slits – This is one of my most favorite ways to style high boots. Rocking a midi skirt with a front or side slit is ever so chic. Ooh, and adding a knee-length coat to this look is style heaven! This is a combo that you can wear at the office, for lunch meetings, or out on a date. Another bonus is that it’s always age-appropriate! The idea behind this pairing is that it creates subtle, classic sexiness and mystique. TIP: When selecting an over-the-knee boot, remember that it needs to be fitted and not loose – this is the key to give your legs a nice, long look. Heeled boots maximize this effect, but flat boots can work too! 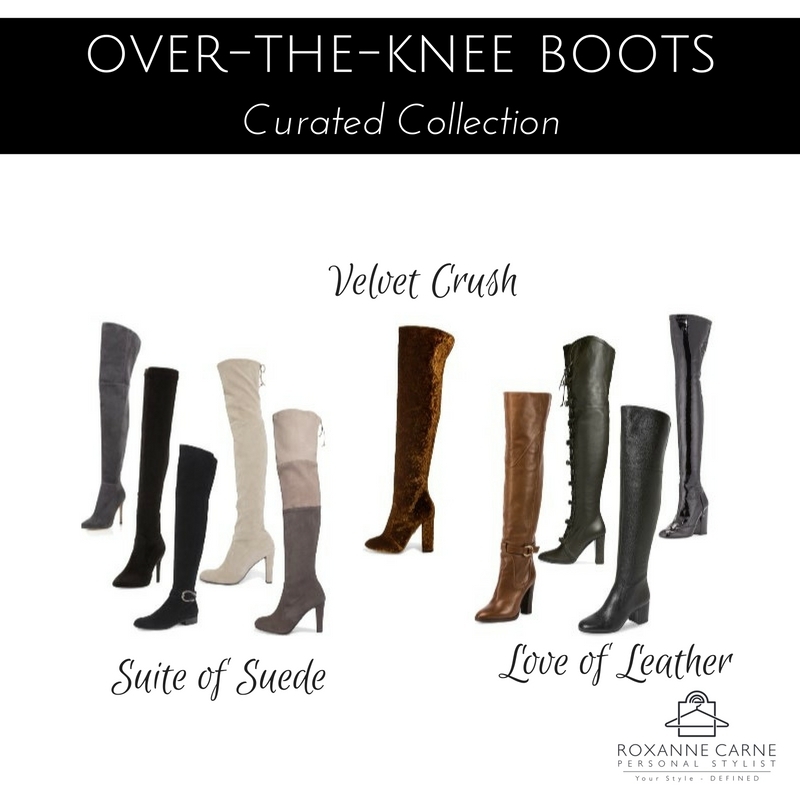 I can’t let you go without sharing a collection of gorgeous classic-style boots that I pulled together just for you. Enjoy this eye candy! Need help finding the perfect over-the-knee boot before the season is over? 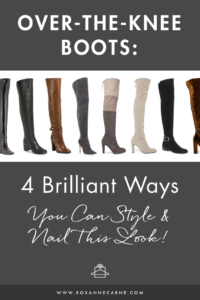 Or need help styling your boots into brilliant looks for your wardrobe? Contact me here or call 855-877-8953 to get started!